For almost a month after Election Day 2016, the race between incumbent North Carolina Republican governor Pat McCrory and his Democratic rival Roy Cooper remained contested. The race was tight, with just over ten thousand votes separating the two candidates. In a desperate attempt to hang on, McCrory cried fraud. McCrory’s campaign filed election complaints in fifty-two of the state’s one hundred counties, but his campaign focused most on Durham County. Durham County had a series of minor issues on Election Day, including technical problems with voting machines, long lines, and delayed entry of votes, but these did not affect the vote totals. Most county officials threw out these complaints, and after a recount of Durham County’s ninety thousand votes resulted in little change in the tallies, McCrory finally conceded. The story, of course, is not just another sad tale of a politician desperate to hold onto his power or one concerned about the integrity of elections in the United States. The history of voting in the United States is inextricably tied to race, beginning with the fact that most states historically only allowed White, male landowners to vote. To ignore the effects voting laws have on different racial groups would be, at best, irresponsible and, at worst, dangerous. Between 2000 and 2012, African American voter registration increased by 51.1 percent in North Carolina, and African American registered voters turned out to vote at a higher rate than White registered voters in both the 2008 and 2012 presidential elections. In 2013, African American voter registration rates almost equaled those of White voters. After winning both chambers of the legislative branch in 2010, Republicans also won the governorship in 2012 with McCrory. This was the first time Republicans had full legislative and executive control of North Carolina since 1898. In 2013, McCrory and the GOP passed an omnibus election law with the stated goals of addressing voter fraud and promoting confidence in the electoral process. These goals did not align with the actions of the GOP or the data, and state officials later could not identify a single individual who had been charged with committing in-person voter fraud. But GOP legislators did seem to pay attention to another kind of data. According to court documents, in 2012 and 2013, Republicans started requesting data on the racial breakdown of certain voting metrics. One email from a top aide in the North Carolina House asked for “a breakdown, by race, of those registered voters in your database that do not have a driver’s license number.” Legislators requested data on voter ID, and the data showed African Americans disproportionately lacked the most common kind of photo ID, a driver’s license, and often used alternative forms of ID. The 2013 law made photo ID requirements to vote more stringent and only allowed forms of ID that Whites were more likely to possess. Legislators requested data on early voting, and the data showed African Americans disproportionately voted early, especially in the first seven days of voting. The 2013 law eliminated the first week of early voting and reduced the number of early voting days. Legislators requested data on same-day registration, which showed African Americans disproportionately used same-day registration to vote. The 2013 law eliminated same-day registration. Legislators requested data on provisional voting, including out-of-precinct voting, and the data showed African Americans were disproportionately likely to vote provisionally. The 2013 law eliminated out-of-precinct voting. Legislators requested data on preregistration for young adults, and the data showed African Americans disproportionately used preregistration. The 2013 law eliminated preregistration. In response, McCrory filed an emergency petition to restore the law. The Supreme Court refused his request, and the law was prevented from taking effect for Election Day. After the results from the election came in, McCrory’s campaign started claiming widespread fraud. Several news stories came out of voters being wrongly accused of voting in multiple states or having their identities mistaken as ineligible felons. Even though the ten-thousand-vote differential was incredibly slim, it was still too large to overcome with accusations of fraud. McCrory ultimately conceded. McCrory could only sign this law in the first place because of the Supreme Court’s 2013 gutting of the Voting Rights Act of 1965 (VRA). The 2016 presidential election was the first election in fifty years without the full protection of the VRA, which subjected states with a history of racial discrimination in voting, like North Carolina, to federal scrutiny before implementing new voting laws. It is still too early to know exactly how the voting laws that were passed after the Supreme Court’s 2013 decision impacted the outcome of the 2016 elections. Looking at the story of North Carolina, though, it seems clear voter ID laws have done nothing to improve confidence in elections, and that accusations of voter fraud, real or imagined, will continue to be used as political weapons. The recent history of voter ID laws begins after the contentious 2000 election of George W. Bush. Although the issues in Florida were caused in large part due to faulty voting machines, voting fraud became a concern for many. In 2002, Congress passed the Help America Vote Act in response to the potential catastrophe of the 2000 presidential election. This law contained a reasonable provision about presenting some form of ID for any voter who registers by mail and who has never voted in a federal election. Also, one requirement of the Help American Vote Act of 2002 was a report by a commission led by former president Jimmy Carter and former secretary of state James A. Baker III. The report recommended photo IDs for all voters, but the IDs would have to be readily attainable. Congress did not act on these recommendations. Indiana moved first, requiring all voters to present a photo ID at the polls in 2005. The Department of Justice, under President Bush, approved the law. It was challenged up to the Supreme Court, which upheld it in 2008. The Court stated that although there was no evidence of the kind of voter impersonation fraud Indiana was trying to prevent, there was also no concrete evidence that there was a burden imposed on voters who lacked photo identification. Georgia then passed a strict photo ID law in 2005, with Missouri following in 2006. Kansas, Tennessee, Texas, and Wisconsin all passed strict photo ID laws in 2011. Mississippi and Pennsylvania followed in 2012. On 25 June 2013, the Supreme Court struck down one of the main protections under the VRA: the so-called preclearance formula. Section Four determined which states and jurisdictions, based on a history of discrimination, were likely to implement discriminatory voting procedures. Section Five required these states to obtain preclearance from the federal government before implementing new voting procedures to ensure any new laws did not have a discriminatory purpose or effect. The Supreme Court decision reversed this requirement. … largely because of the Voting Rights Act, voting tests were abolished, disparities in voter registration and turnout due to race were erased, and African-Americans attained political office in record numbers. … Our country has changed, and while any racial discrimination in voting is too much, Congress must ensure that the legislation it passes to remedy that problem speaks to current conditions. Chief Justice Roberts’s sweeping generalizations ignored the impact the VRA has had. In her dissent, Justice Ruth Bader Ginsburg stated that the Department of Justice blocked over seven hundred voting changes between 1982 and 2006 because they were determined to be discriminatory. “Throwing out preclearance when it has worked and is continuing to work to stop discriminatory changes is like throwing away your umbrella in a rainstorm because you are not getting wet,” said Ginsberg. Since this decision, fourteen states put new voting restrictions into place, including Texas, which adopted a voter ID law the same day. These new voting restrictions include limits on mail-in ballot collection and reduced early voting, among others, but the most common restriction is requiring a photo ID to vote. Without federal preclearance in the way, the total number of states with ID restrictions in place by the 2016 election eventually rose to twenty. One of the major issues around voter fraud is its definition and appropriate use. Politicians often use the term incorrectly, describing technological problems like in the 2000 election or misinformation campaigns as fraudulent. Voter fraud occurs when individuals cast ballots despite knowing that they are ineligible to vote, in an attempt to defraud the election system, according to the Brennan Center for Justice. Voter ID laws are trying to combat in-person voter impersonation, which is a specific kind of voter fraud. Impersonation fraud does happen, but it is extremely rare. A study by the Washington Post found only thirty-one credible claims of impersonation fraud out of more than one billion ballots cast from 2000 to 2014. A study by Arizona State University (ASU) found in-person voter impersonation fraud from 2000 to 2012 to be “virtually non-existent.” Another study by ASU found that in Arizona, Ohio, Georgia, Texas, or Kansas—five states where politicians have declared voter ID laws are necessary because fraud is rampant—not a single case of voter fraud involved voter impersonation between 2012 and 2016. If this kind of voter fraud is so rare, why is so much outsized effort put into stopping it? Another argument is that because having a photo ID is necessary for many common activities, it is not unreasonable to expect voters to present one at the polls. But a study by the Brennan Center for Justice found as many as 11 percent of eligible voters do not have a government-issued photo ID, like a passport or a driver’s license, and the percentage is even higher for seniors, people of color, people with disabilities, low-income voters, and students. Many of the people in these groups do not drive or travel regularly to need a driver’s license or a passport. The study also found that more than ten million eligible voters live more than ten miles away from their nearest state ID-issuing office open more than two days a week, including 1.2 million eligible black voters. Despite all of this information, or perhaps because of it, many voter ID laws are still in place. Unfortunately, the actual impact of these laws is hard to measure. The studies seem to vary in their conclusions on the matter, with many stating that voter ID laws have no impact on turnout. Photo ID laws from the 2000s appear to decrease turnout by around 2 percent, which is significant, according to an analysis by Nate Silver of FiveThirtyEight in 2012. Because the laws prevent people from voting, it seems very unlikely they have no impact on turnout. “Although the effects seem to be small, and although their precise magnitude is uncertain, the position that they don’t have any effect at all is hard to defend,” states Silver. While it is impossible to say what exactly a 2 percent change in turnout would have in US elections, Silver argues Democrats would likely get a boost. Also, the United States ranks thirty-one out of thirty-five in voter turnout among developed democracies, and laws that make it more challenging to vote—like voter ID laws—are not helping. Removed from their political racial contexts, which proponents try to do, voter ID laws represent a tradeoff: how many votes is it acceptable to deter to prevent one fraudulent vote? How many millions of people is it acceptable to prevent from voting to stop the one in-person impersonation? Voter ID laws could actually make elections more fraudulent by decreasing the number of legitimate votes so much that fraudulent votes have a greater impact, argued Michael D. Gilbert from the University of Virginia School of Law. Some proponents of voter ID laws state that if other countries are doing it, we should, too. But there are significant differences between the voter ID laws passed in the United States and those around the world. Namely, other countries allow more types of identification, make it easier to obtain, have provisions for those without identification, and allow exceptions. It is intentionally misleading to assert voter ID laws in the United States are the same as those elsewhere. Considering the discriminatory history of voting in the United States, voting should be made easier for disenfranchised groups, not harder. But allowing more people to vote poses a threat to Republicans, who generally benefit from low turnout among minority groups. Silver’s research states voter ID laws result in approximately a percentage point increase in votes to Republicans, which is significant in close elections. Republicans know this, which is why they fight to pass these restrictive laws. In a democratic society, Republicans should have to compete for these votes. Keeping more people out of the voting process is simply immoral. 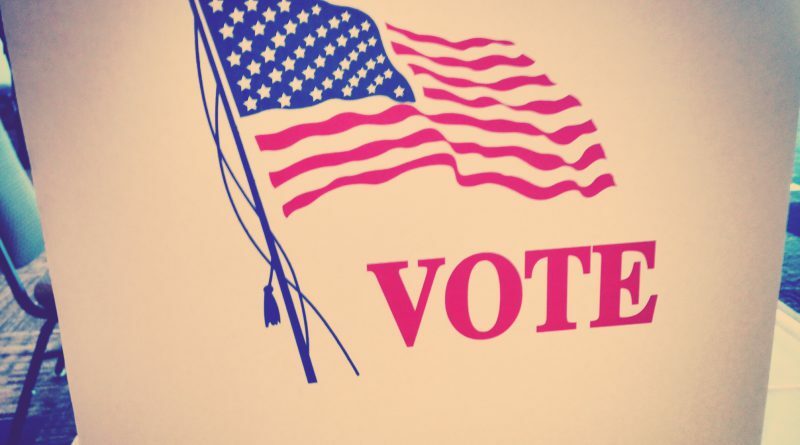 Two policies could make it substantially easier to vote. First, free, uniform voter photo identification should be provided to all eligible citizens. This policy would require a major distribution effort by the states but could be beneficial outside the polling booth—providing, for example, enhanced security. If all citizens have photo IDs, voter ID laws would be much less controversial. Second, automatic voter registration should be adopted by all states. Oregon, California, West Virginia, Vermont, Connecticut, Alaska, and the District of Columbia have all passed automatic voter registration laws. According to the Brennan Center for Justice, automatic voter registration works by automatically registering eligible citizens who interact with government agencies to vote unless they decline. Agencies then transfer this information to election officials. Not only does this policy increase registration rates, it lowers the costs for states and simplifies the process of cleaning up the rolls. Automatic voter registration would also make in-person voter fraud much more challenging. So far in 2017, twenty-two more states are considering bills to implement automatic voter registration. While some states are making it easier to vote, there could be a monumental shift in election laws at the federal level. President Trump has stated he will be launching a major investigation into the false claim that three to five million people voted illegally in this election. Not only is an assertion of this magnitude from the newly elected president unprecedented and incredibly harmful to our democracy, it also dangerously paves the way for new voter suppression laws. McCrory’s story should serve as a warning to President Trump: voter fraud is extremely rare and hard to find, even when you are searching for it. His accusations of voter fraud could be used to implement new voting restrictions, perhaps even more stringent than those in place now. These laws, especially voter ID laws, should be seen as what they are: blatant attempts to prevent minorities from voting. Finding ways to both increase public confidence in elections while also making sure they remain free and open is critical, but as long as voter ID laws continue to be used as political weapons against minorities, they cannot be used as a solution. Brynna Quillin is a second-year master of public policy student at the John F. Kennedy School of Government at Harvard University. She is passionate about politics, civic engagement, and reducing poverty and inequality. Brynna most recently worked as a Fall Fellow for Hillary Clinton’s presidential campaign, and she previously worked for the US Department of Health and Human Services, Battleground Texas and the Wendy Davis for Governor Campaign, and the Office of the Vice President. Colin Campbell, “McCrory Campaign Expands Ballot Complaints to 52 Counties,” News & Observer, 17 November 2016, http://www.newsobserver.com/news/politics-government/election/article115492333.html. CBS North Carolina, “Durham County Elections Officials Outline Problems on Election Day,” WNCN, 14 November 2016, http://wncn.com/2016/11/13/durham-county-elections-officials-outline-problems-on-election-day/. Kevin Robillard, “McCrory Concedes in North Carolina,” POLITICO, 5 December 2016, http://politi.co/2hatQmC. Opinion for North Carolina State Conference of the NAACP, et al. v. Patrick L. McCrory, United States Court of Appeals for the Fourth Circuit, filed 29 July 2016, https://electionlawblog.org/wp-content/uploads/nc-4th.pdf. William Wan, “How Republicans in North Carolina Created a ‘Monster’ ID Law,” Chicago Tribune, 2 September 2016, http://www.chicagotribune.com/news/nationworld/politics/ct-north-carolina-voter-id-law-20160902-story.html. William Wan, “Inside the Republican Creation of the North Carolina Voting Bill Dubbed the ‘monster’ Law,” Washington Post, 2 September 2016. “Help America Vote Act of 2002,” 107th Congress of the United States of America, https://www.eac.gov/assets/1/workflow_staging/Page/41.pdf. Tyler Lewis, “Despite Strong Opposition, DOJ Approves Georgia Voter I.D. Bill,” The Leadership Conference on Civil and Human Rights, 31 August 2005, http://www.civilrights.org/voting-rights/voter-id/doj-approves-georgia-voter-id.html. David Stout, “Supreme Court Upholds Voter Identification Law in Indiana,” New York Times, 29 April 2008, http://www.nytimes.com/2008/04/29/washington/28cnd-scotus.html. “Voter ID History,” National Conference of State Legislatures, 18 April 2016, http://www.ncsl.org/research/elections-and-campaigns/voter-id-history.aspx. “Voting Rights Act of 1965,” 89th Congress of the United States of America, http://library.clerk.house.gov/reference-files/PPL_VotingRightsAct_1965.pdf. Chief Justice John Roberts, Opinion for Shelby County, Alabama v. Holder, Attorney General, et al., Supreme Court of the United States, https://www.supremecourt.gov/opinions/12pdf/12-96_6k47.pdf. Justice Ruth Bader Ginsburg, Opinion for Shelby County, Alabama v. Holder, Attorney General, et al., Supreme Court of the United States, https://www.supremecourt.gov/opinions/12pdf/12-96_6k47.pdf. “New Voting Restrictions in Place for 2016 Presidential Election,” Brennan Center for Justice, 2 November 2016. Justin Levitt, “The Truth About Voter Fraud,” Brennan Center for Justice, 2007, http://www.brennancenter.org/sites/default/files/legacy/The%20Truth%20About%20Voter%20Fraud.pdf. Justin Levitt, “A Comprehensive Investigation of Voter Impersonation Finds 31 Credible Incidents out of One Billion Ballots Cast,” Washington Post, 6 August 2014, https://www.washingtonpost.com/news/wonk/wp/2014/08/06/a-comprehensive-investigation-of-voter-impersonation-finds-31-credible-incidents-out-of-one-billion-ballots-cast/. Natasha Khan and Corbin Carson, “Comprehensive Database of U.S. Voter Fraud Uncovers No Evidence That Photo ID Is Needed,” Who Can Vote? News 21, 12 August 2012, http://votingrights.news21.com/article/election-fraud/. Sami Edge and Sean Holstege, “Voter Fraud Is Not a Persistent Problem,” Voting Wars: News 21, 20 August 2016, https://votingwars.news21.com/voter-fraud-is-not-a-persistent-problem/. Stephen Ansolabehere and Nathaniel Persily, “Vote Fraud in the Eye of the Beholder: The Role of Public Opinion in the Challenge to Voter Identification Requirements,” Harvard Law Review 121, no. 7 (2008): 1737–74. Keesha Gaskins and Sundeep Iyer, “The Challenge of Obtaining Voter Identification,” Brennan Center for Justice, 18 July 2012, http://www.brennancenter.org/sites/default/files/legacy/Democracy/VRE/Challenge_of_Obtaining_Voter_ID.pdf. Opinion, Marc Veasey, et al. v. Rick Perry, et al., United States District Court Southern District of Texas Corpus Christi Division, http://sblog.s3.amazonaws.com/wp-content/uploads/2014/10/TX_voter_ID_decision_100914.pdf. Nate Silver, “Measuring the Effects of Voter Identification Laws,” FiveThirtyEight, 15 July 2012, https://fivethirtyeight.blogs.nytimes.com/2012/07/15/measuring-the-effects-of-voter-identification-laws/. Drew DeSilver, “U.S. Voter Turnout Trails Most Developed Countries,” Pew Research Center, 2 August 2016, http://www.pewresearch.org/fact-tank/2016/08/02/u-s-voter-turnout-trails-most-developed-countries/. Michael D. Gilbert, “The Problem of Voter Fraud,” Columbia Law Review 115, no. 3 (2015): 739–75. Frederic Charles Schaffer and Tova Andrea Wang, “Is Everyone Else Doing It? Indiana’s Voter Identification Law in International Perspective,” Harvard Law and Policy Review 3 (2009): 397–412. “Automatic Voter Registration,” Brennan Center for Justice, 10 February 2017, https://www.brennancenter.org/analysis/automatic-voter-registration. Abby Phillip and Mike DeBonis, “Without Evidence, Trump Tells Lawmakers 3 Million to 5 Million Illegal Ballots Cost Him the Popular Vote,” Washington Post, 23 January 2017, https://www.washingtonpost.com/news/post-politics/wp/2017/01/23/at-white-house-trump-tells-congressional-leaders-3-5-million-illegal-ballots-cost-him-the-popular-vote/.